Loubee Lou Blogs: Handy Blogging Apps. 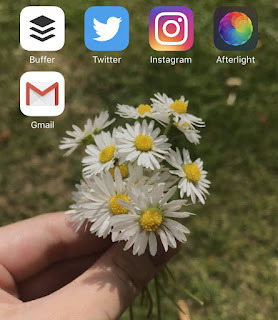 Today I wanted to talk about the blogging apps that make my life easier. I have an iPhone 7 so all my apps come from the Apple app store. Obviously other app stores will vary and some apps may charge. Buffer is one of my favourite apps. It is the most helpful app when it comes to blogging. Buffer allows you to schedule tweets, posts for Facebook, post on pinterest and share things on your Google+ page/profile. You can set a custom time and add images which always increases engagement. It also provides you with basic analytics so you can see the potential audience and amount of clicks. If you use it for Twitter like I do then you can see likes, retweets and mentions to do with the post. You can upgrade the app for more in depth analytics and data. This app has been a god send for me. I am useless at promoting my posts. I just forget. This allows me to schedule posts days/weeks in advance which really does help increase your blog views. I never used to edit my photos (hence why they were terrible) but I realised what a difference a little tweak can make. I downloaded Afterlight for 99p after seeing lots of positive things about it and having it recommended to me by several people. I absolutely love the simplicity of it. I only use it for very basic things but it has a lot to offer. There are lots of filters, great photo editing tools, frames and lots more. I use it to touch up basic things like brightness and contrast. I crop and adjust my photos if I need to as well. All of it is really simple. You can also choose the size of the image before you save it which a lot of other photo editing apps don't offer. I take all of my blog photos with my phone so editing is really easy. I take my photos, click the app and can edit them straightaway. I'm still not great with photography but even I have noticed an improvement. I plan to play around with more of the features on Afterlight to see what more I can do. 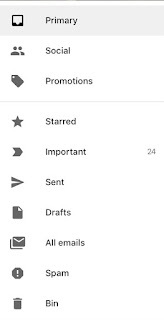 If you have a Gmail account for your blog then this app is perfect. I tried running my account through the mail service on iPhone but the features were so complicated and messy. I downloaded this app and never looked back. 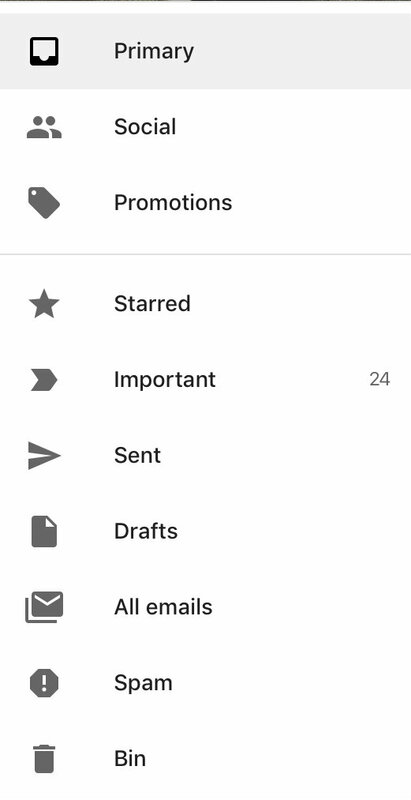 It allows you to have all of your mail split into the usual categories: Primary, Social and Promotion and gives you all the functions you have on the computer. It's very nicely designed and has a clear, easy format. The app runs really smoothly and as I have my notifications turned on I know when emails come through and can deal with them straight away. It just makes it all quicker and more efficient. Twitter is a great way to reach a wider audience and really get your blog out there. This is by far my favourite social media platform. You can really utilise Twitter. There are lots of blogger follow trains and twitter chats that are designed to increase your profile and following. It's also great for connecting with other bloggers. There is a really strong blogger presence on Twitter. It's great for discovering new blogs and reaching out to like minded people. There are a lot of profiles set up solely for retweeting blog posts which is wonderful. The app is so convenient and easy to use. I'm never off it! I'm pretty new to the world of Instagram but I've noticed that it's a great way to pull people in. A picture says a thousand words and brands appreciate good photography and regular social media posting. 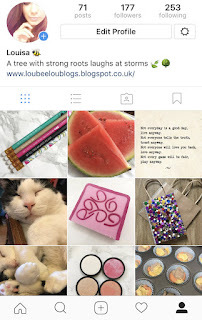 I think that Instagram is incredibly popular with the blogging community (even with it's stupid algorithms) and as with Twitter the app is convenient. Personally I'm not all that in to Instagram yet but I do like seeing other people's photos and keeping up with people. I do love watching everyone's Insta stories. 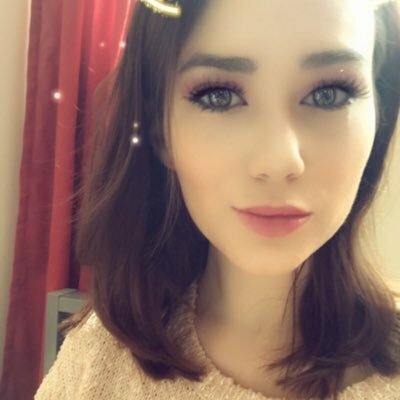 Are there any apps that you recommend? I love buffer!! I don't think anything tops it in the scheduling area. This is a fab post lovely! I haven't tried any other to compare but that's because I haven't needed to. Buffer has been everything I've needed it to be.